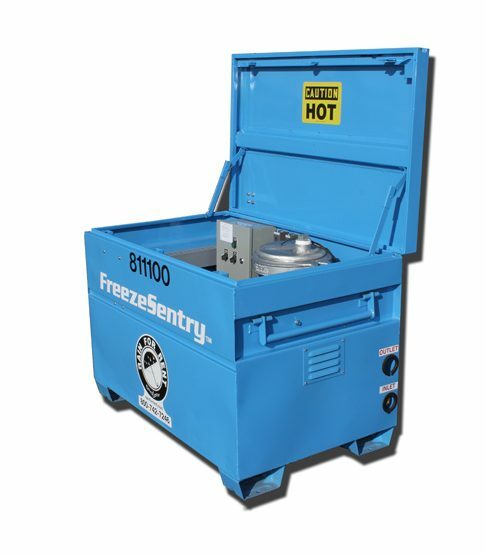 Footprint24" x 48" x 28"
The EG300 hydronic glycol heater is engineered for reliable performance and trouble-free starts. Lockable encolsure in a job-box sized package provides excellent portable safe jobsite heating. Lockable Enclosure in job-box sized package. Safety shut-down for loss of fluid or pump failure. Red Strobe: General fault: High temperature, low fluid or pump failure.